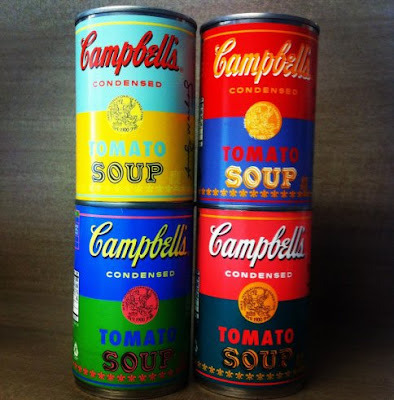 Campbell's is releasing four limited edition cans in the celebration of the fiftieth year since Andy Warhol first displayed his 32 Campbell's Soup Cans. The brand asked fans on facebook, "How do they look?" Well, they look awesome and with the approval from The Andy Warhol Foundation they will go on sale at Target, for 75 cents each, starting September 2nd. Is anyone else super excited for these?